The Iraqi army, supported by Shia militias and Kurdish forces, is currently attempting to end the two-year-long occupation of Mosul – the country’s second largest city – by members of the so-called Islamic State (IS). The military offensive, which was announced some time ago, has received a lot of support particularly from the United States Government – which would like to, once and for all, remove the negative consequences of all previous mistakes made in Iraq, particularly in what concerns that country’s Government fail to independently take over its own security. For the US, an independent and friendly Iraq is a key policy goal in the region, and the US will invest all that it can – with the exception of committing its own ground troops, to achieve it. 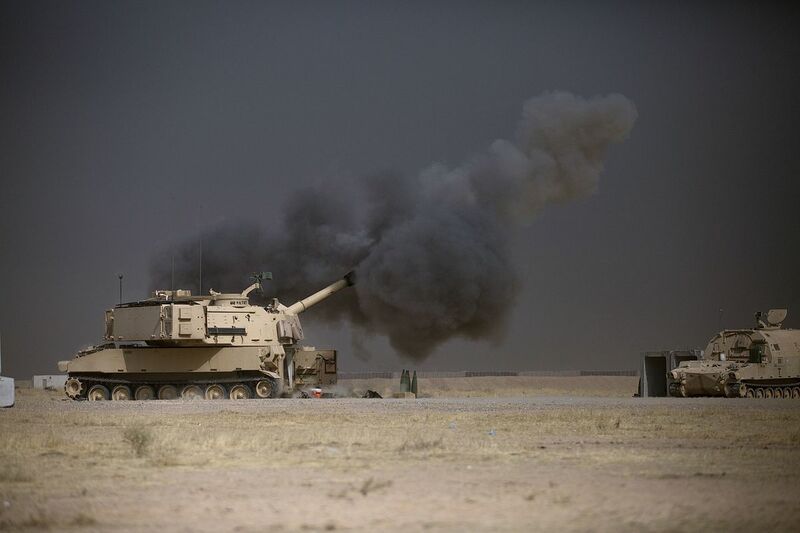 While the United States has readily provided the Iraqi army with equipment and intelligence, the latter’s readiness to utilize it as expected by Washington has been questionable. The memory of previously unsuccessful efforts by the United States to create a force in Baghdad that could stabilize the country remains fresh. Such an outcome remains a possibility at any moment, particularly due to the irrational behavior of those who are expected to carry the greatest burden and stand to benefit the most from US support. They could, once again, surprise strategists from Washington who, by relying only on logic, will never be in the position to predict all possible scenarios. The Middle East has been, and remains, a region of the unexpected, in which one occurrence does not always correspond to a certain set of rules. For military planners, this phenomenon remains an almost insurmountable problem. The strategy of how to retake Mosul was developed carefully, with the participation of various ground and air forces, in order to limit the risks involved with an escalation of the conflict with IS. According to some reports, it is also possible for the strategy to be interpreted and implemented differently by different factions of this military coalition. For example, in order to minimize civilian casualties, the United States would likely support allowing IS to withdraw its forces from Mosul into Syria at a certain point in the conflict. The Shia militias, in contrast, have different goals and would probably insist on preventing such a withdrawal, attempting to destroy IS in Mosul itself regardless of the risk this would pose to civilians. Kurdish militias have, on the other hand, been limited to attempting to liberate the suburbs inhabited by Kurds, and are not expected to enter the city itself. Not having yet reached its peak, the fight for Mosul could take some time. Having no other alternative but to fight, IS is expected to mount stiff resistance, turning the offensive into street battles with terrible consequences on the over one million civilians in the largely Sunni city of Mosul in the coming weeks and possibly months. Street battles could result in images of large numbers of civilian casualties and displacement on TV screens worldwide. Outgoing US President Obama would like to achieve a major international success at the end of his mandate and the liberation of Mosul would certainly qualify. Whether this could happen by January 20th when President-elect Trump takes over the government cannot be said for certain, but the chances for a spectacular victory for the US coalition appear less than favorable.